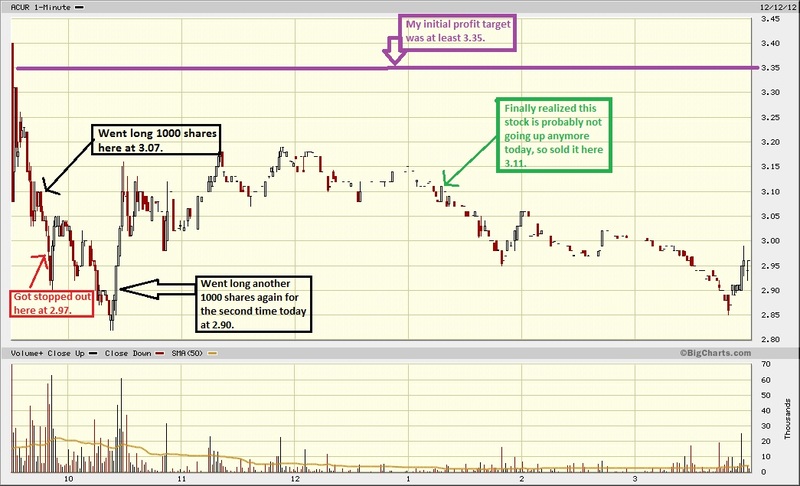 TRADER 9: Trade of the day, ACUR!!! 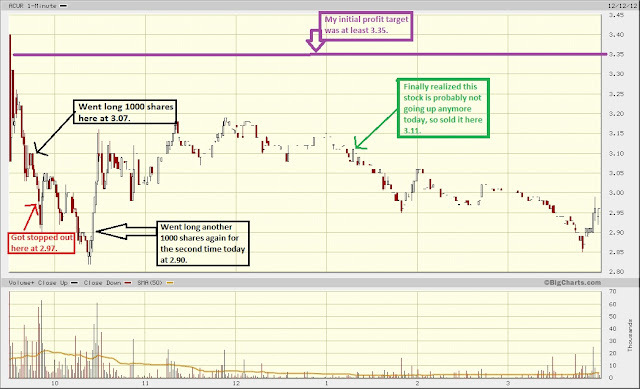 ACUR the last two days has been on a tear. I thought it might continue today, but I should have known better. Anyways, my first entry got stopped-out very quickly, but I tried again and went long another 1000 shares at 2.90 and sold it at 3.11 for a total on bought entries of just a .11 point gain.